it's Justine here again designing for Create a Smile stamps and I'm also here to invite you to my free class on Distress Inks. 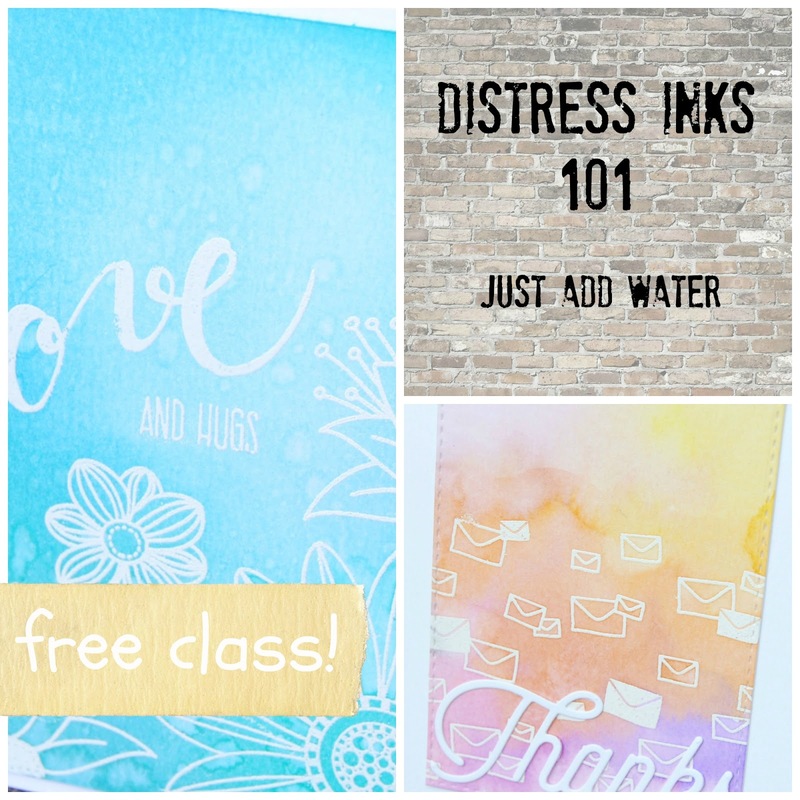 Today I'm playing with distress inks and water, one video tutorial is here at Create a Smile and the other is on my blog. A free downloadable PDF file can be accessed here. I wanted to create a card using distress inks and water and experiment with the different technique. 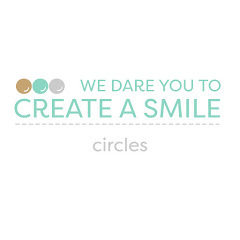 Don't forget to join our Facebook group Create a Smile Family and Friends! It's Kelly here and I'm super excited about today's card. why? 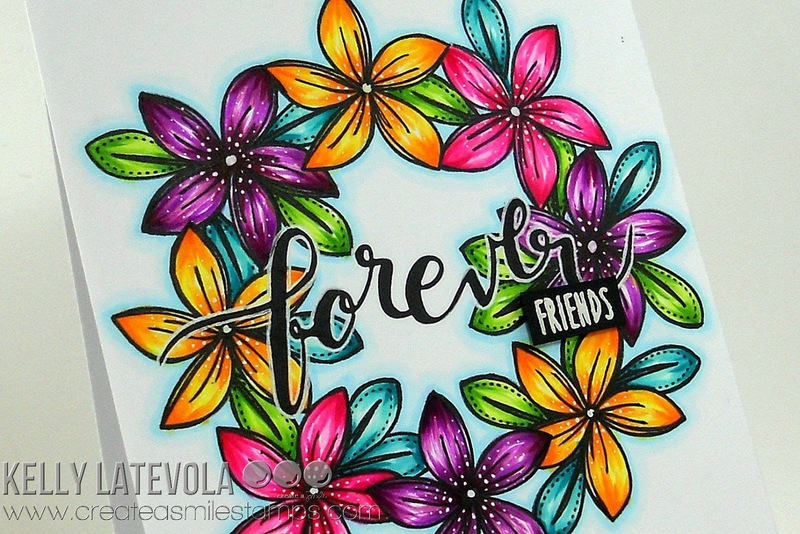 I actually started this card on Periscope because I was in the mood to color flowers. These Crokisses are such fun flowers to color! I thought they would look super pretty in a wreath. I used a circle die to trace a light pencil mark onto my card base. I stamped my flowers and leaves using Copic safe markers and then erased my pencil line. This step is especially important because if you put Copic marker over pencil you cannot erase. Believe me I've tried :) Once my color was done I added some details with a white gel pen before outlining all the images with a black pen. 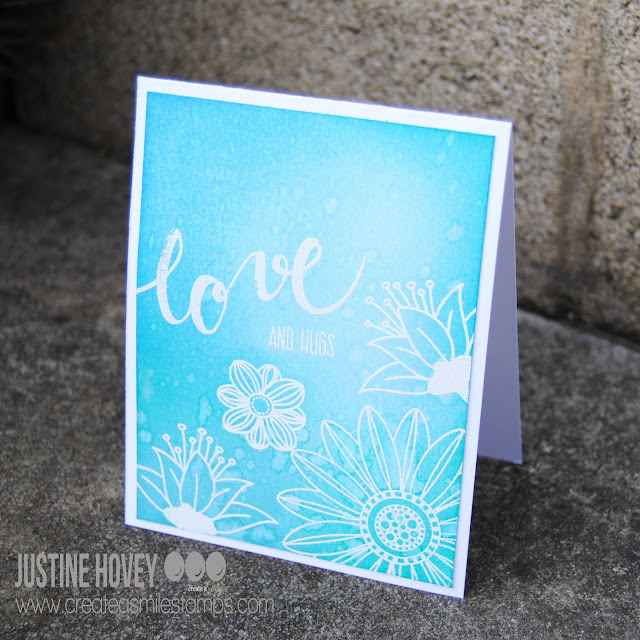 I stamped the sentiment directly over top of the design and then used my white gel pen to outline it. 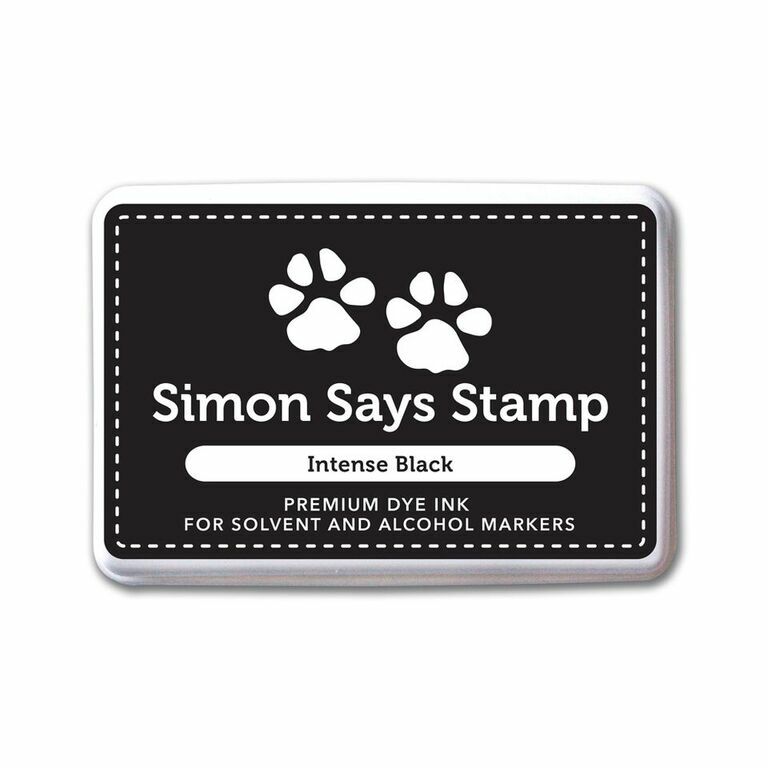 For a bit of added contrast I stamped the second portion of the sentiment on black cardstock and heat set it in white. If you're going for a one layer look outlining your sentiment with a white gel pen can really help it pop of the page. Speaking of that white gel pen it's awesome for adding details to your stamped images and changing up their look. For today I would like to share another eastercard with you. Since it's still eastern I wanted to make another eastercard with one of my favorite stampsets the eggstraordinairy egghunt and some new released stampsets. I love combining the different stampsets. I started by stamping and masking the little chicken from the eggstraordinairy egghunt set. To stamp the flowers on the chicken I used the negative of my mask. stamped some more flowers with masking and then colored with copics. To highlight the flowers I used some glitterpen. The sentiment is white heat embossed on vellum and I cut the colored panel and fuzzy cut the flower at the top. Eggstraordinairy egghunt , Happy Days and Crokisses. If you want to stamp inside a stamp like I did with the flowers into the chicken make a mask from the image and then use the negative of this mask. Sometimes you have finished a card and haven't figured out where to put your sentiment or even forgot about the sentiment. You can Always stamp your sentiment on some piece of vellum and place it over your images. 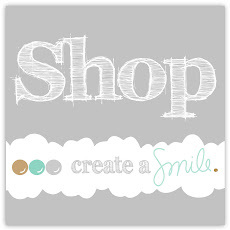 We still want to see what you create with all the lovely supplies from create a smile so place share them with us. Let's Celebrate + more Masking! Release Countdown #1 - Giveaway Time!